We wanted to share some research with you about sleep. https://www.foundmyfitness.com/episodes/matthew-walker (this is a link to a long interview about sleep, the article has the summary an if you are interested you can watch it or listen the podcast). 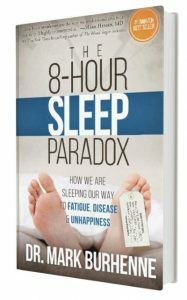 Today, I’m sharing a few paragraphs directly from the book “The 8-hour Sleep Paradox” by Dr. Mark Burhenne. What a wake up call! I don’t know about you, but I am NOT okay with brain damage. So, how are you sleeping? Are you in denial? Are you okay with a little brain damage every day for the rest of your life? I’m sure from personal experience you know the difference between a good night’s sleep and a bad night’s sleep. When was the last time you had a really great night’s sleep? How did you feel when you woke up? Do you wake up without an alarm? With plenty of energy? With a clear head? If you were to ask your 3 closest friends the last time they had a great night’s sleep with the all the benefits of restful, healing sleep, I’d wager to guess it has either been a really long time or its something they just dream about. Sleep disordered breathing is the term used to describe the entire spectrum of sleep breathing abnormalities. Sleep disordered breathing ranges from the difficulty sleeping with a stuffy nose all the way to severe sleep apnea. So, does sleep determine our destiny? What could you do if you woke each morning with all the benefits of restful healing sleep? Share your thoughts in the comments. Why is a Dentist screening for sleep apnea? The short answer is because we care about your overall health and not just your mouth. The long answer has a few parts. 1. Dr. Eagar first became interested in treating sleep apnea because his wife would frequently fall asleep at stoplights! Scary, right? She was tested for sleep apnea but her AHI score was under 5 so she was told she was fine and didn’t need treatment. Dr. Eagar wanted to help his wife. He researched the topic and started to attend courses on sleep apnea. 2. Dentists are in a prime position to screen for sleep apnea, in a lot of cases, patients see their dentist more regularly than their primary care doctor. 3. A dentist treats your mouth which is the opening of your airway. If your dentist isn’t screening you, here are a few questions to ask at your next appointment. Run, do not walk, to get your hands on this book! Dr. Mark Burhenne does a fabulous job explaining the importance of sleep breathing. Keep your eye out for a series of posts from the book. I’m pretty sure that almost everyone has experienced the frustration of trying to fall asleep when someone in the room is snoring. I’ve been amazed at how many stories I’ve heard lately of married spouses sleeping in different rooms because of snoring! It doesn’t have to be that way. Dr. Eagar can make a custom fit oral sleep appliance to help. Both my husband and I wear one. I sleep better because my airway is open AND because I am not woken up by my husband snoring! Snoring costs bed partners sleep. 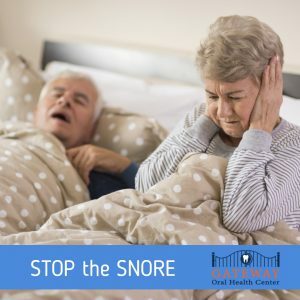 Even if you don’t think your snoring is a problem, maybe it is affecting your partner. One of the most loving things I know of, is getting treatment via an oral sleep appliance so that your partner can get better sleep. 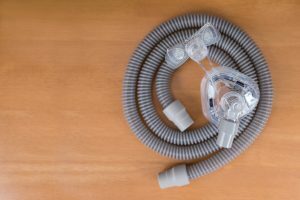 Is your CPAP taking up space in your closet or under your bed? A CPAP doesn’t work if you don’t use it. A CPAP is considered the gold standard for sleep apnea treatment…..unless, you don’t wear it. It won’t do you any good under the bed or in the closet. Why are you not wearing it? Let me guess: it is uncomfortable, noisy, cumbersome, annoying, basically a bother? There is another solution that is comfortable, quiet, unobtrusive and simple. 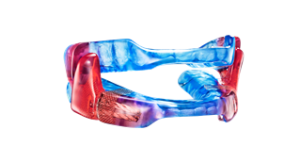 An oral sleep appliance is a custom fit mouthpiece that keeps your airway – treats sleep apnea – without all the troubles of a CPAP. A simple convenient treatment for sleep apnea.